'Agreement between government and Dr KC going positively' - Integration Through Media ....! 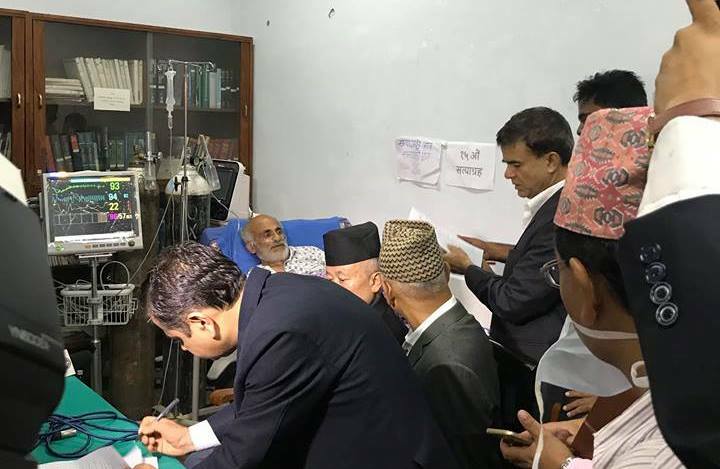 KATHMANDU: Minister for Education, Science and Technology Giriraj Mani Pokharel has said the latest agreement reached between the government and Prof Dr Govinda KC would be implemented gradually. A clause-wise discussion is being held on the Bill at the respective committee and subcommittees. The meeting was attended by lawmakers Dilendra Prasad Badu, Krishna Prasad Dahal, Dev Prasad Gurung, Ganga Chaudhary, Dil Bahadur Mahat, Rekha Sharma, Ram Bahadur Bista, Maina Kumari Bhandari, Yashoda Gurung Subedi, Pushpa Kumari Karna, Rekha Jha and Prem Suwal. The sumcommittee meeting will next meet at 11 am tomorrow.